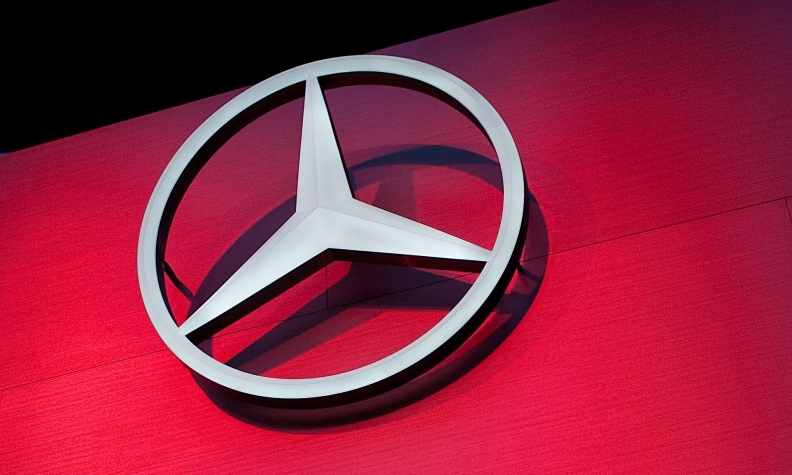 FRANKFURT -- Mercedes-Benz may regain its position as the world's second-largest manufacturer of luxury cars in 2015 after losing it to Audi last year, a German newspaper reported. The report cited forecasts from the Center of Automotive Research at the university of Duisburg-Essen in Germany. According to the CAR forecasts, BMW will sell 1.76 million vehicles in 2015, followed by Mercedes with 1.68 million and Audi with 1.63 million, the report said on Sunday. Mercedes, led by CEO Dieter Zetsche, has made clear its intention to recapture the leading position from BMW among the luxury carmakers by the end of the decade. Mercedes held the title until 2005, when it was overtaken by BMW. In 2011, the Mercedes brand sold 1.26 million cars and SUVs, behind Audi with 1.30 million and the BMW brand with 1.38 million. As part of its plan to boost sales, Mercedes is aiming to put 10 completely new models on the market by 2015 in an attempt to rejuvenate the brand, including converting the A class compact into a sportier car. Mercedes has a target in the same year of delivering 1.6 million vehicles. "We aim to be the front-runner wherever we compete on a permanent basis," Zetsche said earlier this month in a speech to shareholders at the company's annual meeting in Berlin. "Wherever we are not number one, we will strive to become it," he added. Audi is targeting annual sales of 2 million cars by 2020 as it too seeks to pass BMW in global sales. Growth in the United States is critical to Audi's efforts to boost its sales volume, but in the U.S. market, BMW and Mercedes currently sell more than twice as many cars as Audi. To combat this, Audi is opening a plant in Mexico that the automaker says could help boost its U.S. lineup from 16 to as many as 27 models in the United States. Production of the Q5 midsize SUV will begin there in 2016.